The trio Over4tea came into being in 2004 with the aim to make improvised music inspired by video images. Lost Angeles and Other Mirrors is the first in a series of future projects. 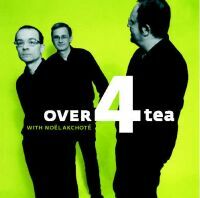 The two audio tracks on CD over4tea contain the group improvisation of over4tea and the French guitarist Noël Akchoté as recorded at the 2004 Next festival in Bratislava.